What kind of work does the Pune centre do for TomTom? We make digital maps — we have our own personal navigation devices (PND) and also do licensing work for other companies like Apple. The team here works on engineering and map operations. They build the tools which will be used to build the maps, as well as work on building the maps themselves. All our network operations are also monitored from here, as well as internal IT services. What kind of work do you do for Apple and Uber? Apple uses our maps and data for providing location-based services, as well as real time traffic information in 50 countries. Our maps are on all Apple devices, except in China and Japan. We licence our maps to other automobile makers as well. 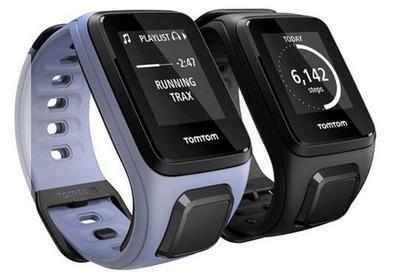 What new areas is TomTom working on? We are working with most tier-I auto makers on self-driving cars. We are creating maps which are different from the traditional maps, with a higher degree of precision, which will be used to keep the car on the road. There would be sensors through which the car can see other objects on the road as well as positioning technology, accurate to up to five centimetres. There will also be technology in the cars to measure if the road data is still accurate or if the road has changed. While self-drive cars are still a few years away, we could see this technology on the roads soon, used either for enhanced safety features or cruise control. What are the main business areas for you globally? We are present in three areas — consumer (PND and wearables), licensing technology to companies like Apple and auto firms, and telematics or fleet management. These contribute 50, 40 and 10% to our revenue respectively, and all segments are growing well for us. After a few slow years, we grew in 2015 and expect this momentum to continue. How big are your India operations and what are the challenges of creating maps for India? The current market is small, but we see opportunities for navigation and wearables. There is increased awareness and demand for health and fitness trackers and we are building the market here. Mapping has its challenges and we’ve come up with a sophisticated system to overcome it. Through Mapcode, each location is assigned a number which can be used for navigation purposes. We are also in talks with the Pune administration for helping with real time traffic management using our data as part of their Smart City initiative.